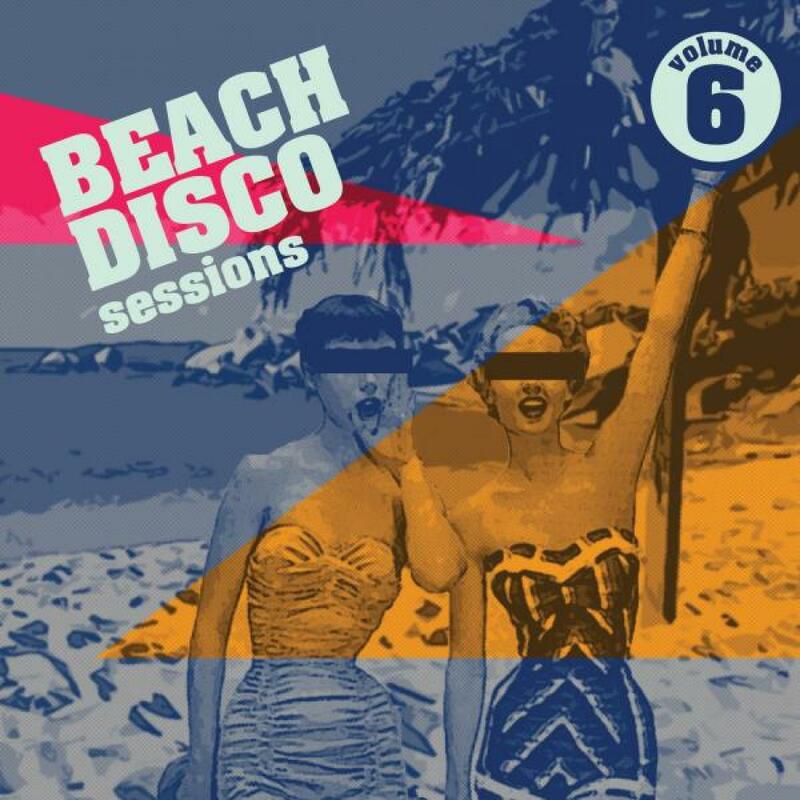 "Beach Disco Sessions Volume 6"
Summer is with us once more and its time for the 6th instalment of the Beach Disco sessions. Six years of summer music for the sun? yup time flies. This year (as in 2014) we have enlisted the help of the highly able DJ skills of â€œSituationâ€ from the west country of the UK. Ben Vacara and Mr Mullato have done a swell job of selecting and mixing a fine slice of Balearic disco summer for the 17 track CD. Things open up from the left field and 1980. Mysteriously mislaid tapes from Roland Romanelli and Jannick Top, who had just finished on sessions for Space /(Magic Fly) 3rd album. A slow burner opener. Next we head off Vilnius, Lithuania where Downtown Party Network present a slice of chunky nu disco grooviness. Beach Disco hosts Situation are next up with their â€œGet To Know Meâ€ a fine slice of soul-disco party, vocal house. Next its jazzy house disco with â€œCounty Clonkâ€ with Norwegian Nordic disco-meister Lindstrom on the quirky remix. Audio Luxury from Russia give us â€œEvery Kissâ€ and Situation give us some sunrays with â€œHere Comes The Sunâ€. Next, Canaries Island resident Ilya Santana hits us up with a brand new tune the hypnotic â€œHypo-Discoâ€. Next we take a trip back to the 80s with Bill Laswells Material partnering with the Chic man Niles Rodgers for some of those un-mistakable guitar chops. Bronx Dogs then get bass guitar groovy followed by Ruff Dugs mix on the classic â€œDitry Talkâ€ by Klein and MBO (the song that inspired Blue Monday). Katzumas â€œAll Nightâ€ gets things back into the nu disco groove before building up to the epic which is the AN2 remix of the Space classic â€œCarry On Turn Me Onâ€. Olej makes his second appearance in the remix department, here mixing â€œBeach Comaâ€ from Glasgow based Korvids. Tight programmed funk groove is the order of the day with â€œFind Outâ€ from Future Feelings next. What a groove from Mexican new signings to Nang. We begin the wind down to the CD with Scandinavian duo Dagfest and their James Walsh sampling endless-summer groove in â€œIâ€™ve Got The Feelingâ€. Its Soul-Cal disco next with Sorcerer all the way from San Francisco with his shimmering guitar and a middle 8 to certainly remember. To fully chill out proceedings we end with a special exclusive remix by Situation of â€œStrange Kind Of Loveâ€ from the 1980s band who should have been massive but somehow werenâ€™t, Love and Money. See you next year and enjoy the summer. Nang. Written & Produced by Mindaugas Lapinskis and Algirdas Miescionaitis. Written and Produced by Alik Faeshanov. Vocals by Tiara. Remix & Additional Production by Olej. Published by Dharma Songs. Written Michael Benhorn, Nile Rodgers and Bill Laswell. Licenced courtesy of Multitraxmusic. Co-Arranged by Davide Piatto. Remix & Additional Production by Ruf Dug. Mastered by Eugene @ Cromon Tor. Composed by Didier Marouani, Arranged by Didier Marouani, Roland Romanelli, Jean-Philippe Illiesco. Produced by Jean-Philippe Illiesco. Additional Remix & Production by AN2. Remix & Additional Production by Olej. Recorded & mixed by Patricio Cabezas. All instruments by Patricio Cabezas. Contains portions of â€Iâ€™ve Got The Feelingâ€ used by permission of James Walsh. All rights reserved. Written by James Grant. Published by Sony / ATV. Produced by Love and Money. Strings Arranged by Pete Whitfield and Performed by the Prague Philharmonic Orchestra. Remix & Additional Production by Situation.